TRICK OR TREAT, TRUE BELIEVERS! PLUS! 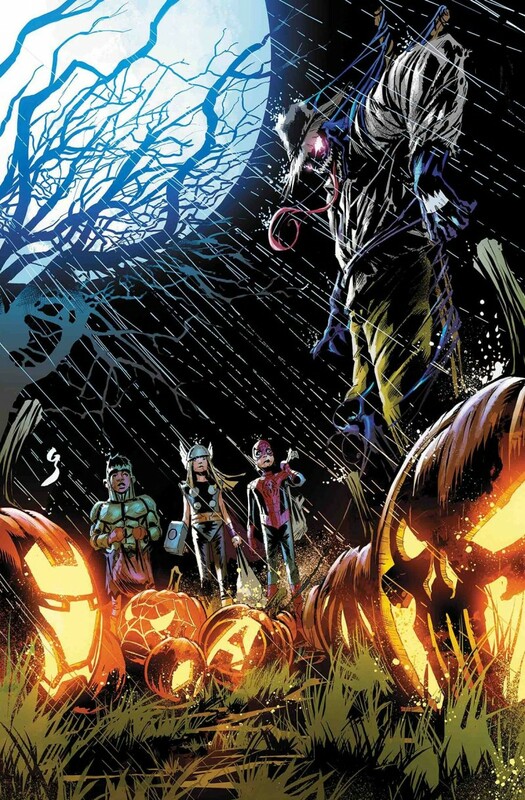 Spooky stories starring the X-Men & Doctor Doom! Epic thrills and ghastly horror awaits in these all-new twisted tales! Spanning the breadth of the Marvel Universe, through the macabre lens of a murderer’s row of writers and artists assembled here, see your favorite heroes and villains as you’ve never seen them before!